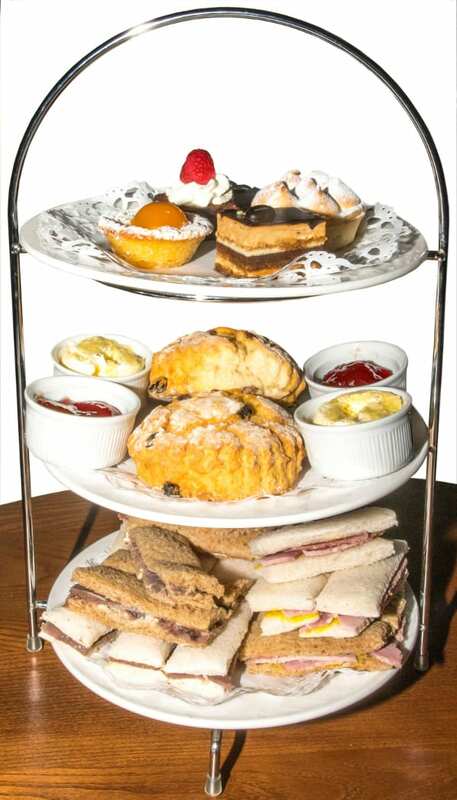 What could be more English than afternoon tea? 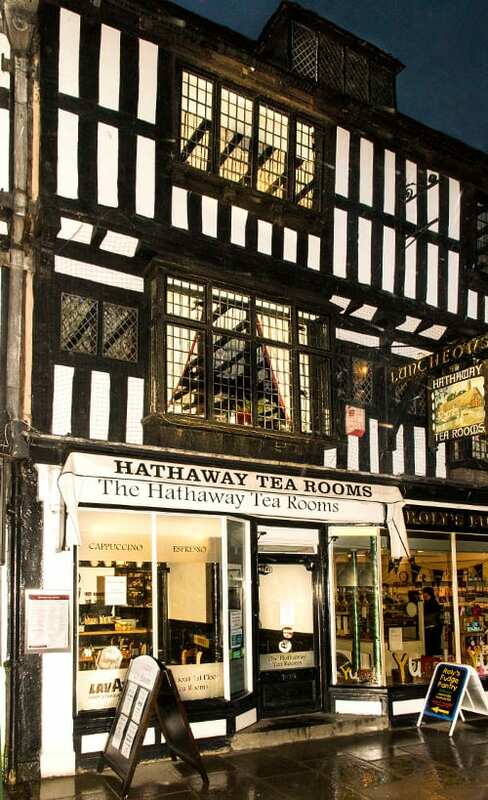 And where better to enjoy this traditional English meal than in Stratford upon Avon’s oldest tea shop – Hathaway Tea Rooms at number nineteen, High Street, which also happens to be one of the town’s most historic buildings. The black and white timbered building was built around 1610, a time when William Shakespeare would have been writing some of his most famous works, and moving into his new home of New Place on nearby Chapel Street with his wife, Anne Hathaway. 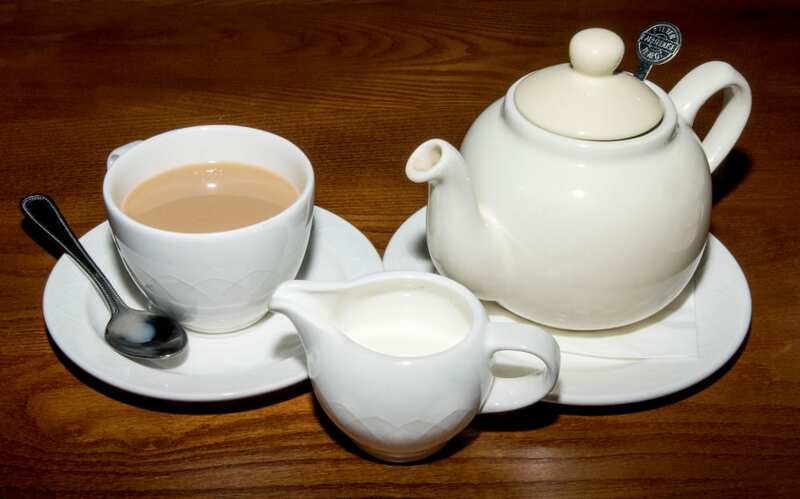 Don’t be misled by first impression of the tea shop which reveal just a few tables, the main area of these atmospheric tea rooms are upstairs in a 56-seating, 17th century timbered room with a large open fireplace and leaded windows. But that’s not all. Go up again to the next floor and there is seating for another 20 diners or the room can be used as a function room for parties, play rehearsals, book groups and so on. And at the back of this very spacious medieval town house, is the garden, which also seats 56 people, perfect for fine sunny days. We went along to enjoy afternoon tea on a cold and wet February afternoon, but were soon warmed by the welcome from the friendly staff. The aromatic smells of coffee and baking cakes certainly set the taste buds off as we were shown upstairs to a table by the window. There was lots of choice on the menu such as home made chicken and leek pie, traditional cottage pie, quiche Lorraine, broccoli and Brie quiche, sandwiches, paninis, soups, jacket potatoes with a variety of fillings; apple strudel, chocolate fudge cake, or an all day breakfast, which can be gluten free if required. We however had set our hearts on the quintessential English tradition of afternoon tea comprising delicate finger sandwiches – choosing three different fillings from the seven tasty combinations; freshly baked scones – plain or sultana which are served with ‘Tiptree’ strawberry preserve and clotted cream; and finally a selection of dainty cakes. This all came with coffee or a pot of tea. The cost being £26 for two people. 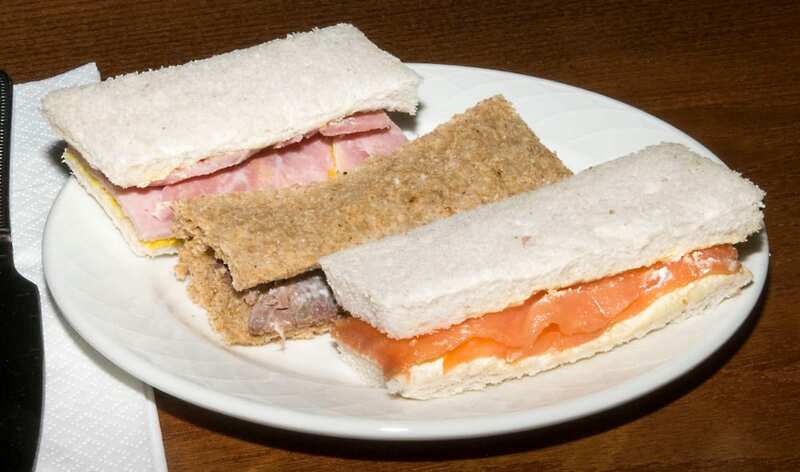 We chose roast beef and creamed horseradish; roast ham and mustard, and smoked salmon and cream cheese sandwiches, which came in both white and brown bread. Plenty of them too, which the two of us didn’t manage to completely finish off. Actually, nothing was wasted as we took what we couldn’t eat away in a Hathaway Tea Rooms equivalent of a doggy bag, which the staff were quite used to accommodating diners with. The scones, it has to be said, were the most delicious scones I have ever tasted. They were extremely generous and so light, fluffy and fresh, they were an absolute delight and every crumb was savoured. On the top tier of the pretty serving stand were four exquisite little cakes. 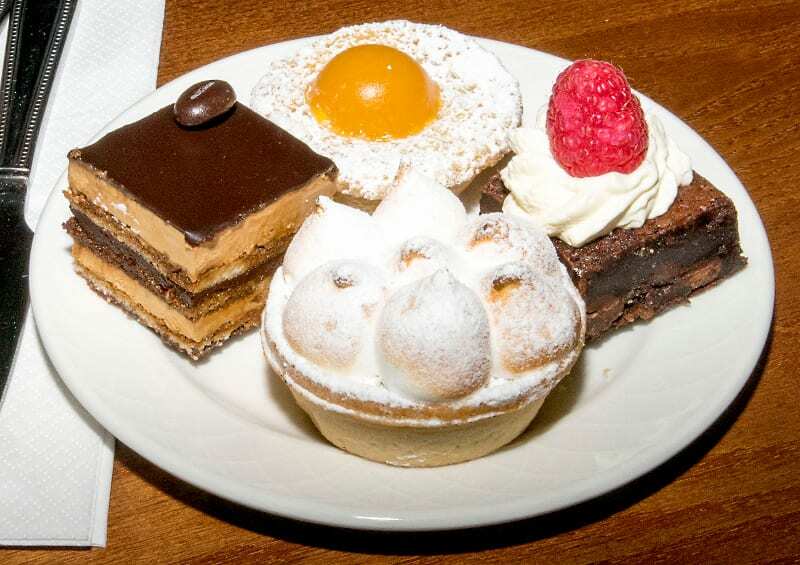 Practically everything that you can buy at Hathaway Tea Rooms is made in their own kitchens by their cooks, but these particular cakes were from the exclusive Maison Blanc kitchens, suppliers to Fortnum & Mason and very nice they were too. The owner of Hathaway Tea Rooms is Rick Allen who took over the lease of this Grade II listed building with his partner Steven Smith and are now into their fourth year of business. Between them they have completely turned the place around, making it a delightful venue to enjoy your daytime breakfast, lunch or tea. But, as Rick explained, one of the main things they had to overcome was the poor reputation the place had prior to them taking over. Rick explained that the building has been a tea room since 1931, changing ownership many times. And unfortunately, in more recent years, the place had deteriorated and earned itself a bad reputation. 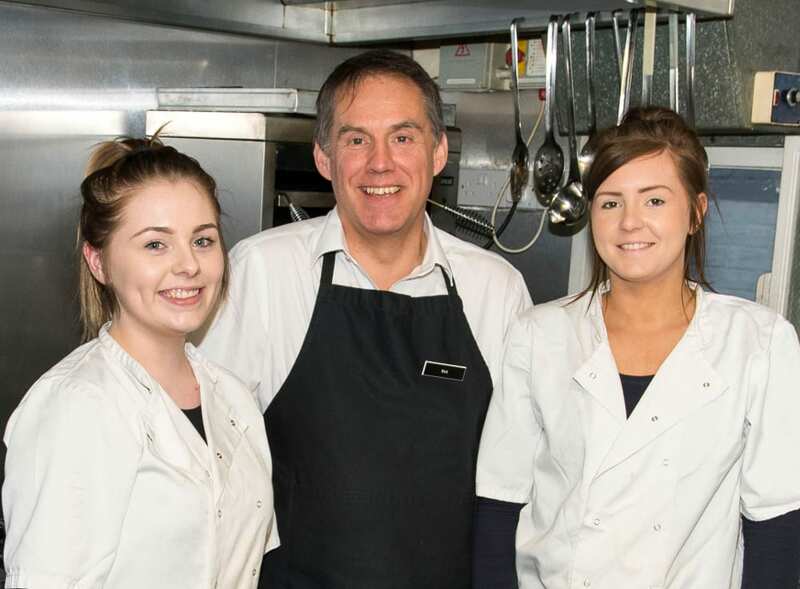 Now with his loyal team of cooks, front of house and back of house staff, Rick has found that all the hard work has paid off. This little piece of Stratford’s history is an idyllic little haven to enjoy a daytime meal. It even serves take-away picnics – perfect to enjoy by the nearby River Avon. Looking back at the building’s history, in the 1700s it was The George Inn, owned by Daniel Yeates of Hampton Lovett who purchased number 19 and 20 High Street for £160. In later years it was sold to a book seller, then became an apothecary and surgery. In the mid 19th century it became a boot and shoe shop until finally a tea shop in 1931. However, there are still links with the original inn keeper of long ago, as it’s said that the ghost of a young girl, thought to be Rosie, the inn keeper’s daughter, has been seen running through the house and on the stairs.